This giveaway is now closed! 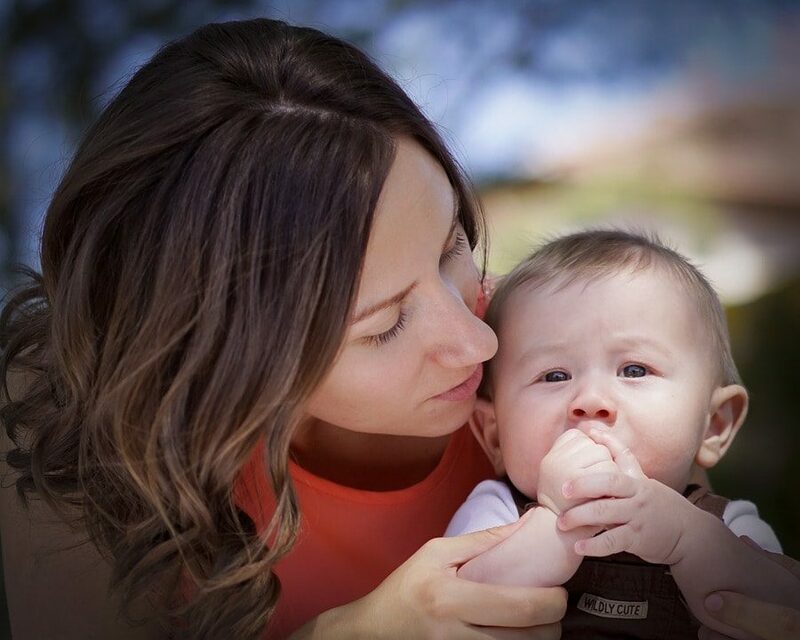 The winner is Kristi ([email protected]…)! To be honest, I’m not a great composter. I hate throwing food in the trash can, where it will last for years thanks to the nice plastic outer shell of the trash bag, when we can just as easily throw it out in our yard where it will naturally decompose, but I haven’t yet taken the time to figure out exactly how to compost — what ratio of items to use, what shouldn’t be added, etc. For a long time, our system was simply to save food scraps in a bin in the freezer and then dump it when it got full. Unfortunately, as our freezer has gotten fuller, we haven’t had the space to do that, and for a while we’d even started dumping them back in the trash can. 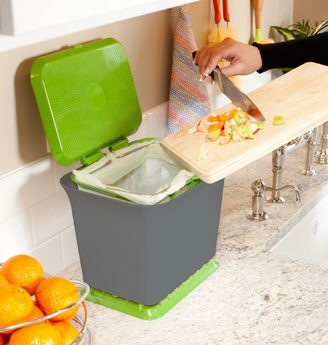 Then Full Circle sent me the Fresh Air Kitchen Compost Collector to try, which we keep in the smaller side of our divided sink, and it really has been the perfect solution. We’ve used almost all of the compostable bags they sent us, and I’m planning to purchase more so that we can continue to use the kitchen composter since it has been working so well. Unlike sealed compost containers, the Fresh Air allows oxygen to easily flow through your organic kitchen waste, allowing for aerobic breakdown. This means that food decomposes more slowly and stays drier during the composting process. The result? Less mess, less odor and no flies. The Renew Compostable Bags can also “breathe” which allows heat and moisture to escape, reducing bacteria build-up and off-gassing and reducing odor. Strong enough not to tear, but natural enough to break down in a proper composting environment. This week, Full Circle is giving one lucky Life Your Way reader a Full Circle Fresh Air Composter and box of Renew Compostable Bags! This giveaway ends at 11:59 p.m. ET on Wednesday, 6/6. The winner will be selected randomly and notified by email, and this post will be updated with their name as well. Open to U.S. residents 18 years old and above. Zubie: Peace of Mind, Personal Diagnostics and More!